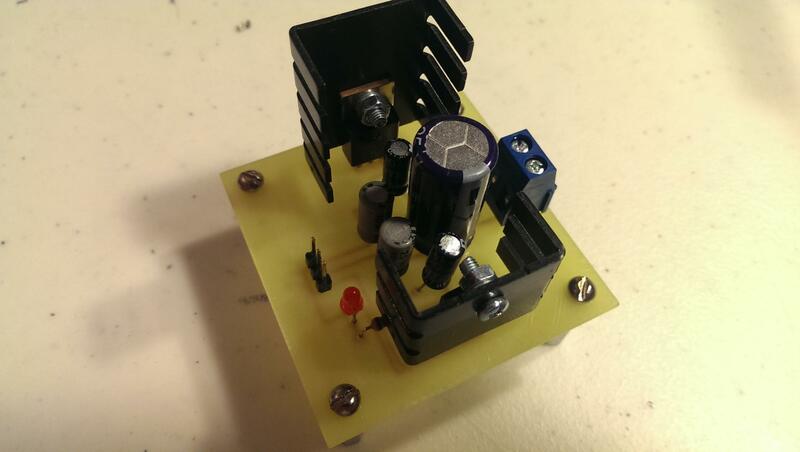 This is a little power supply that provides both 12 and 5 volt DC outputs. It uses the LM7805 and LM7812 voltage regulators to provide the correct voltage so it's good for about 1 amp. This is useful for a project power supply or even a bench power supply. Be aware that these voltage regulators can get warm, especially if the input voltage is much higher than 12v. That's why I have the monster heat sinks on both of them. 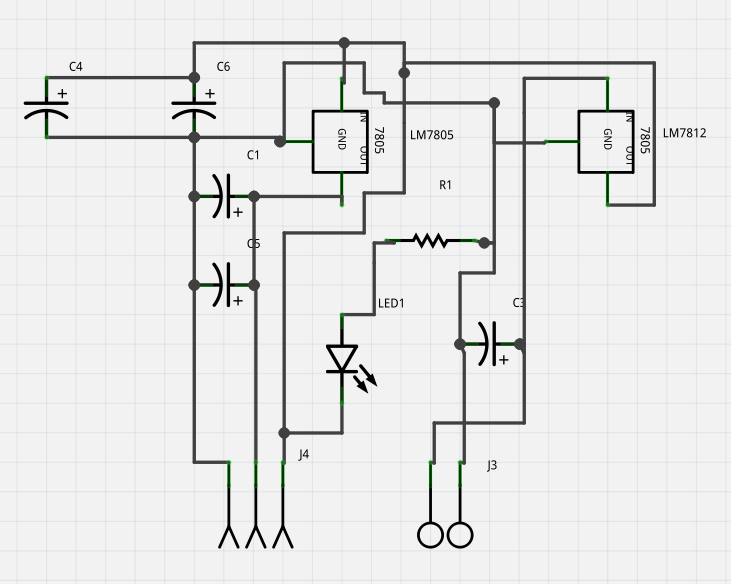 Download the Fritzing file for this board for more details on the circuit components. 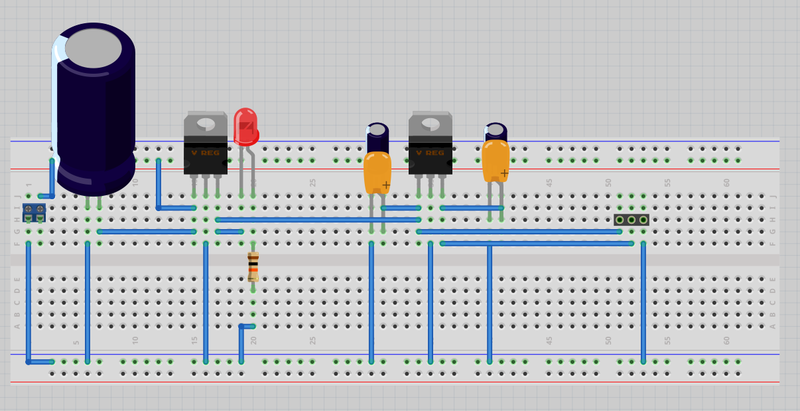 Here's the test breadboard view. There's not a whole heck of a lot to it. The circuit view, which I didn't spend very much time on. 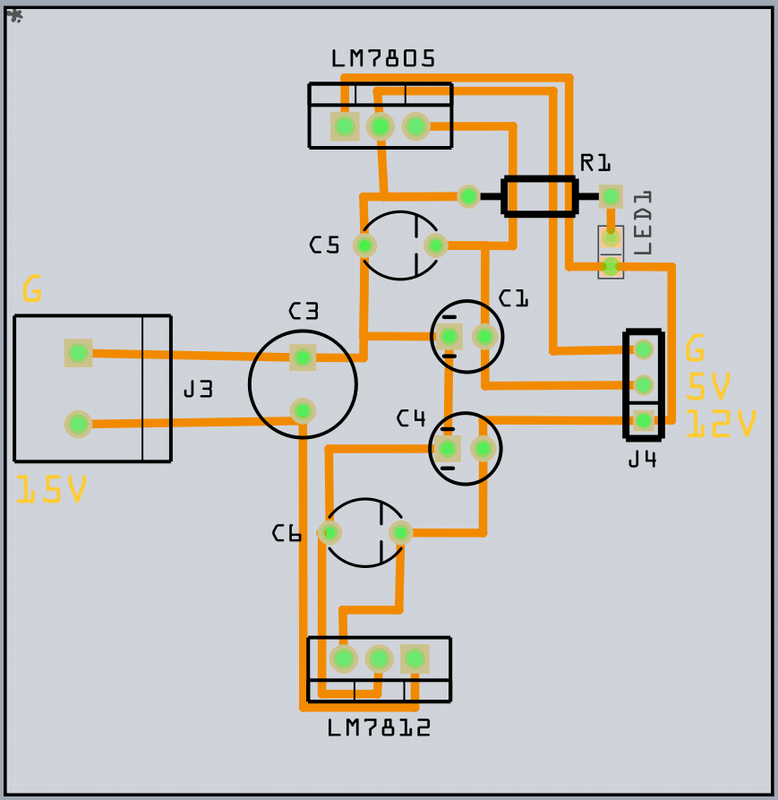 What the PCB layout looks like. 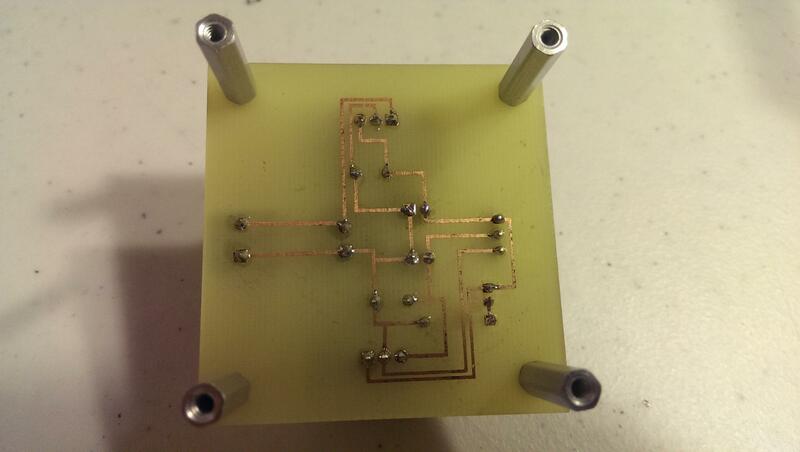 Here's a bottom view of the board after it was etched and populated.